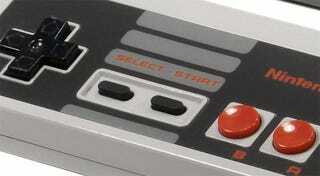 It's easy to forget now, given its enormous success, that the NES was once seen as a risky proposition. Coming on the heels of the great video game crash of 1983, into a market unsure if games were a fad that had already died out, the system didn't just magically appear in stores across North America. Instead, it was launched very slowly, and very carefully (you can read more about these early days for Nintendo of America here). First in New York, and then in Los Angeles, in only a handful of stores. Things moved so slowly, in fact, that in 1985 — the year everyone thinks the NES was released in America — it was almost impossible to get your hands on one. Instead, customers writing to Nintendo to express interest and ask how to buy one were sent one of these information packs (almost like the infamous Star Wars "Early Bird" offer), which included details on the system, its games, peripherals and the three (!) stores in the entire United States which were taking mail orders for the console. King Solomon over on the NintendoAge forums (via Frank Cifaldi) has got his hands on one of these old packs, and taken some pictures so we can all marvel at the long-gone days Nintendo struggled to launch a product and keep up with demand and...oh.